RoboWrap is the wrapping machine for plastic and wood profiles that allows a profile change to be set up in about 5 minutes. 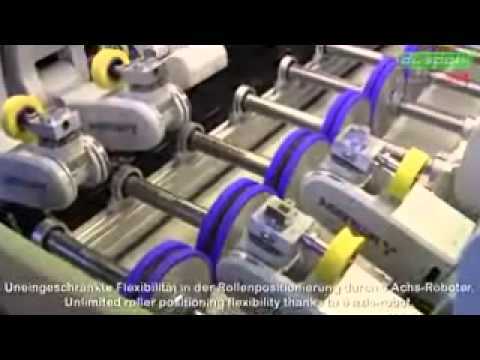 The RoboWrap is the first fully automatic wrapping machine which deserves this name. Once the settings for a specific profile are approved and saved, all you have to do is to select them when it comes to produce the same type of profile again. Then the machine will do its set up all by itself. The software, which we are continually developing, is now able to decide by itself which pressure roll has to be used in which position in order to reproduce a perfect result.